Combination of three compasses: Swivel Knife, Pin Post, and a Lead Point used in addition to any standard ruler or yardstick. 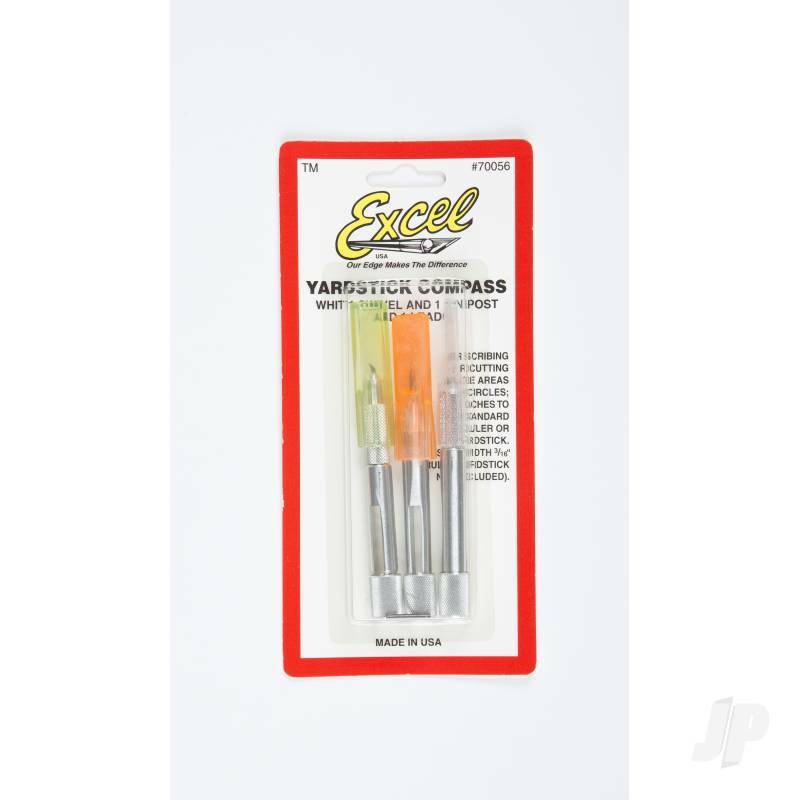 Compass equipped with screw top to tighten or loosen onto yardstick. Used to create accurate circle cuts. Easily capable of sliding from both ends of yardstick or ruler. You can also find more similar products in the Excel brand store in Tools/Compass.